When I picked up this book I didn’t know anything else about it. I hadn’t even read the text on the back of the book, so I was very surprised that when it turned out to be a transgender disorder story. The book starts of as a mystery. Luke is traveling on a train and is planning to end his life. He has been happily married for 30years, with two children and grand children. He is traveling on a train to London where he ha as flat and he wants to end his life because he has a secret. The reader is kept guessing but a few chapters in the secret is revealed. When Luke arrived in London he realised he forgot the keys to the flat and decides to travel home and tell his wife Eilish the truth about himself. All his life he feels he has been living in the wrong body and he really feels more like a woman than a man. Of course his wife Eilish is shocked and hurt. Has Luke been living a lie all his life? Was the love between them just pretence? The book describes his struggles to turn from Luke Livingstone into Lucia Livingstone. It describes how his wife and children are dealing with the change. His two children deal with this in very different ways, but will there be understanding in the end? This book is not for everyone. It is a compelling read. The author has managed to get the reader very emotionally involved and I really cared about what happens to Luke/Lucia. 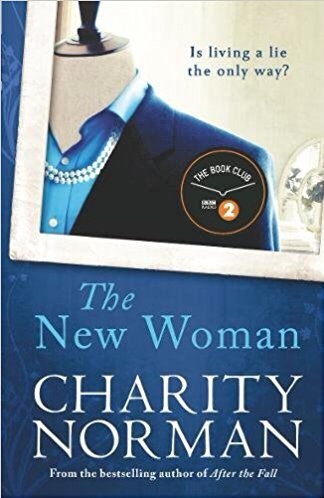 It is a very difficult topic to handle but Charity Norman manages to bring across the emotional upheavals of everybody involved, in a very caring and careful manner. It certainly helps to raise awareness of the disorder and helps people to maybe understand it a little but better. Like I said I picked the book up as it was part of the Simon Mayo book club without actually knowing what it was all about and I was pleasantly surprised.